You hit the wall, Humpty. It happens to all runners … which is why you’re a little scrambled. Close more info about You hit the wall, Humpty. 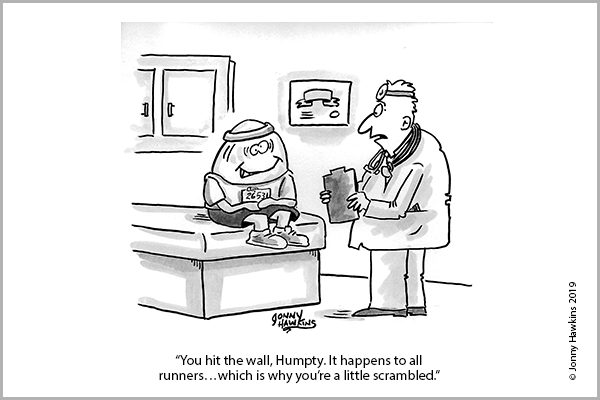 It happens to all runners … which is why you’re a little scrambled.